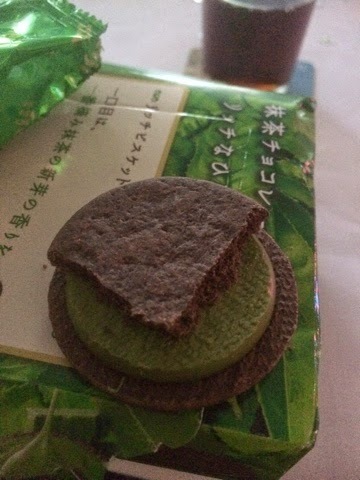 When my sister went to Japan recently she brought back a few snack oddities for me to try - and this times theme was Matcha. 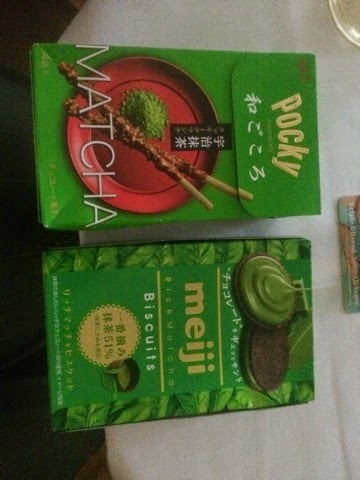 We'll look at the Pocky another day - first up is the Meiji. This is basically a box of green tea Oreos. And you only get 6 in the box. To me this seemed too few. But each was wrapped as a two biscuit portion so I tried one to see what it was like. The matcha green tea smell is really strong, indeed the box suggests that the filling is 51% tea - and the creme is pretty thick! 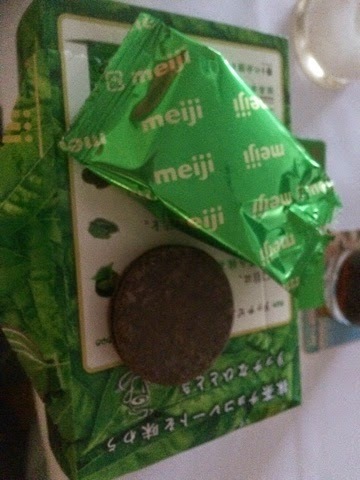 The biscuit is also unusual, and doesn't have the usual sweetness or crumbliness that I was expecting. On the first bite you realise that this is no ordinary biscuit - it's almost like a shot of Matcha tea in a dry form. The flavour is really powerful and lingers. The texture is very creamy and the dark biscuits worked really well, having almost a charcoal like texture to them. The box didn't go through an import company so I don't have much more info on these, but if you like your tea and flavours very strong then this is a highly recommended snack. And six is plenty - I'm not risking even eating two of these at a time!